Her family has no idea how it happened. When a puppy named Lexi started throwing up one day, her family assumed she just had an upset stomach. They took her to the vet - and discovered the shocking cause of her stomach issues. 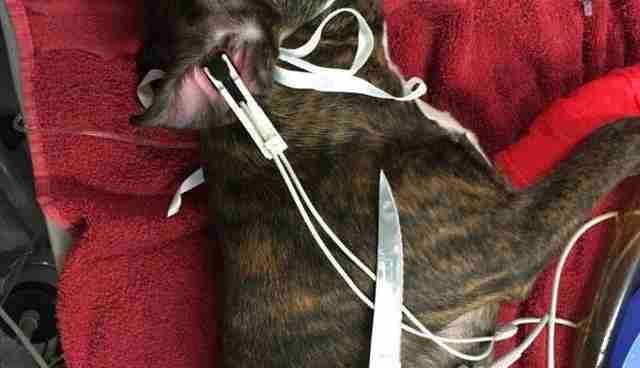 Somehow, Lexi had swallowed an 8-inch-long steak knife and gotten it lodged in her esophagus. 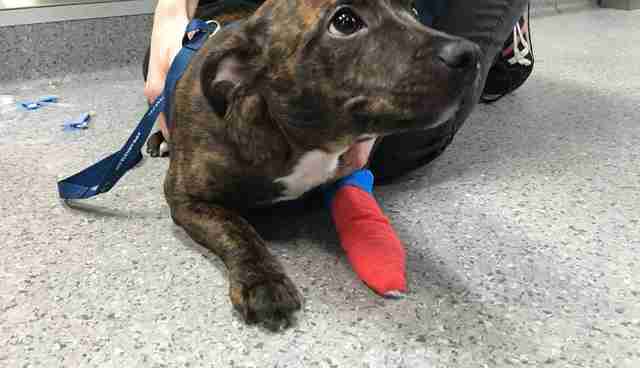 "I thought she was going to die," Lexi's mom said in a press release sent to The Dodo. "Our vet said to rush her straight to the Animal Referral Hospital and they were amazing." 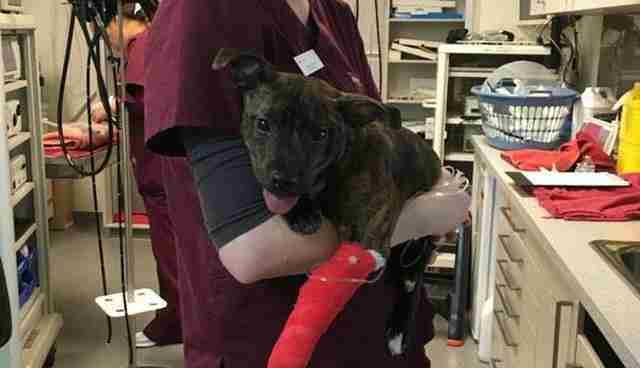 The vets at Animal Referral Hospital had never seen anything like it before, and knew that if they wanted to save Lexi, they had to get the knife out of her throat as soon as possible. 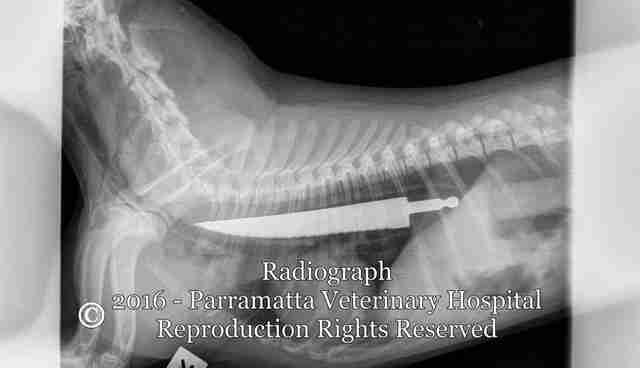 Dr. Jody Braddock and her team put an endoscope camera down Lexi's throat so they could see the serrated edge of the knife, and were then able to slowly pull the knife out with forceps without hurting Lexi. The process took 45 minutes - but miraculously, they succeeded. Lexi spent the next three days in the hospital, and then was finally able to return home to make a full recovery. 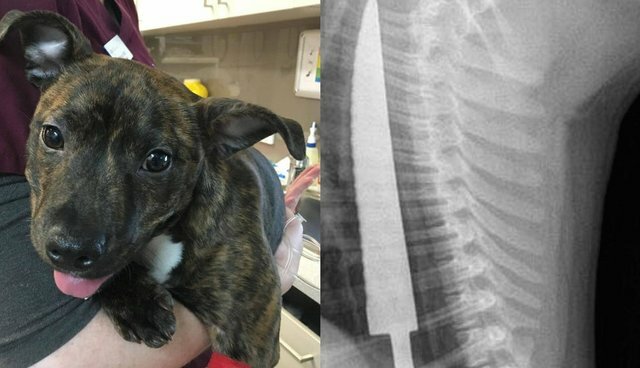 Lexi's family is at a loss for how she got ahold of the knife in the first place, but they definitely plan to keep a watchful eye on the playful pup in the future. "Lexi's always grabbing things to hide under the couch and play with them when we're not looking – so that's the only thing we can think of," Lexi's owner said.